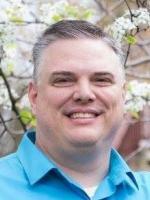 Jeremy Wood is a Federal IT implementer, strategist, and enthusiast specializing in complex business systems. His expertise and career spans infrastructure, service desk, software development, budget, policy, and architecture. He continues to focus on providing value to business through technology solutions in an effort to reduce cost and increase efficiency. In the last year he transitioned into a pivotal role at the Millennium Challenge Corporation (MCC) that will help transform both the business and IT roles and systems through use of agile enterprise architecture. Jeremy continues to be involved across government in an effort to help Federal IT become a value center for business. His past experience in the military, private sector consulting, and his 20+ years of Federal time have placed him in a unique position to bring innovative solutions to old and new problems. Through involvement with organizations like ACT-IAC, he strives to educate and share what he, and others, have learned about how to do government technology well. As the Federal chair of the Emerging Technologies Community of Interest, he continues to help the government and their industry partners understand upcoming technologies and their potential impact. He has experience as an instructor, presenter, and speaker for technology and its impact in our society at large. His keen ability to communicate clearly and in context for his audience has generated positive impressions and continued opportunities to share.